I hereby certify to Kid Ventures that I (i) am at least eighteen (18) years of age; and (ii) I and the Participant(s) are in good physical and mental condition and safely able to participate in the Activities. I further certify that I am the parent or legal guardian of the Participant(s), or I have obtained permission from the parent or legal guardian of the Participant(s) to execute this agreement on behalf of such parent or legal guardian. I agree that the Participant(s) and I shall comply with all stated and customary terms, posted safety signs, rules, and verbal instructions as conditions for participation by me and the Participant(s) in any Activities. If I observe any actual or potential hazard during the course of the Activities, I will bring it to the attention of the nearest Kid Ventures employee immediately. I am aware of the inherent risks associated with participation by me and Participant(s) in the Activities (e.g., use of the play village, castle, pirate ship and other equipment at the Facilities) and I, on behalf of myself and the Participant(s), knowingly and freely assume all such risk, both known and unknown, including those that may arise out of the negligence of (i) Kid Ventures, or (ii) other participants in the Activities. I, for myself and the Participant(s), and my and their respective heirs, assignees, administrators, personal representatives and next of kin, hereby release and hold harmless, (i) Kid Ventures and its officers, directors, shareholders, members, agents, employees, successors and assigns (the "Kid Ventures Group"), (ii) other participants, and (iii) any sponsoring agencies, from and against any all claims, injuries, causes of action, penalties, fines, judgments, liabilities damages, fees and expenses (including attorney's fees) whenever occurring, arising out of or related to my and/or Participant(s)' use of the Facilities and participation in any and all Activities. I agree that no members of the Kid Ventures Group shall be responsible to me or Participant(s) for any illness, injury or damage to or loss of property due to my or Participant(s)' own acts or omissions. I, for myself and the Participant(s) (in this context, the "Grantees" and each a "Grantee"), hereby grant Kid Ventures permission to use, publicly perform and display, the images (or visual likenesses), names and/or voices of each Grantee (the "Personal Information") by incorporating such Personal Information into Kid Ventures' written (e.g., brochures) and visual (e.g., TV commercials) advertising, marketing, informational and educational materials. (collectively, the "Works"). I, for myself and the Participant(s), and my and their respective heirs, assignees, administrators, personal representatives and next of kin, waive any right to inspect/approve the Works, and acknowledge that Kid Ventures shall be the exclusive owner of all right, title and interest in and to the Works. Pre-purchased or prepaid memberships or preschool classes cancellation policy - all sales are final. No refunds. Monthly Membership Cancellation Policy - Membership cancellation notices received on or before the 15th day of the calendar month will become effective on the last day of that month. Cancellation notices received after the 16th day of the calendar month will become effective on the last calendar day of the following month. 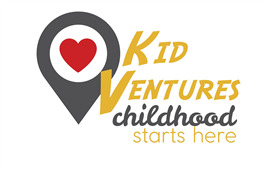 Notice of cancellation is required in writing (Kid Ventures Membership Cancellation Form).